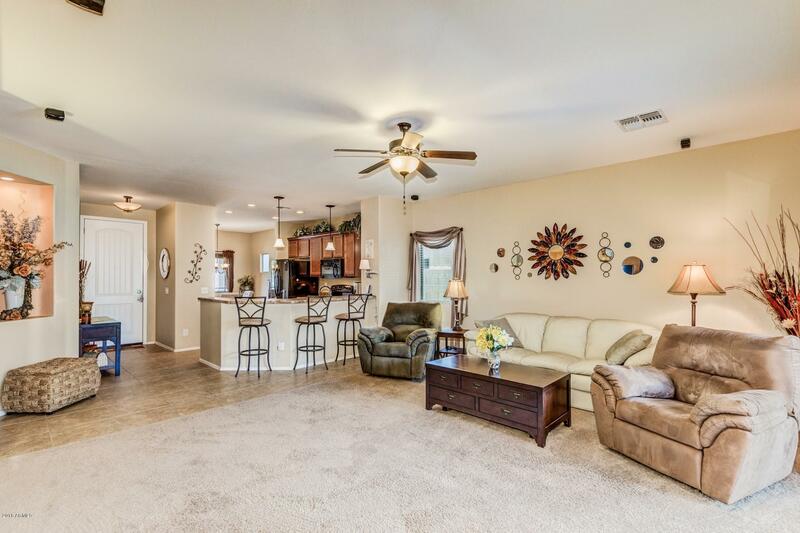 NEW PRICE!!!! 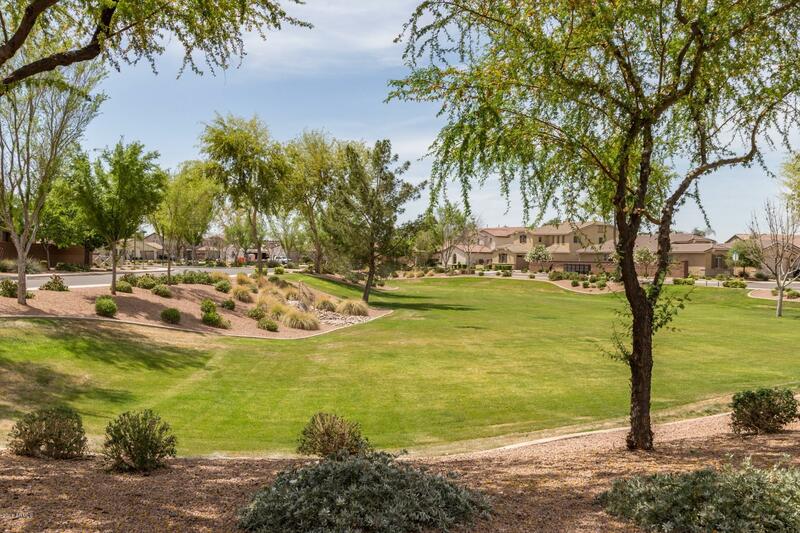 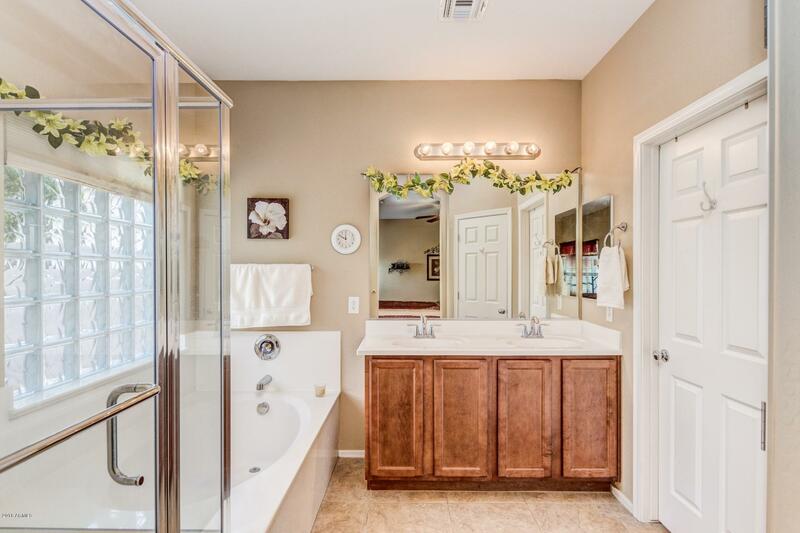 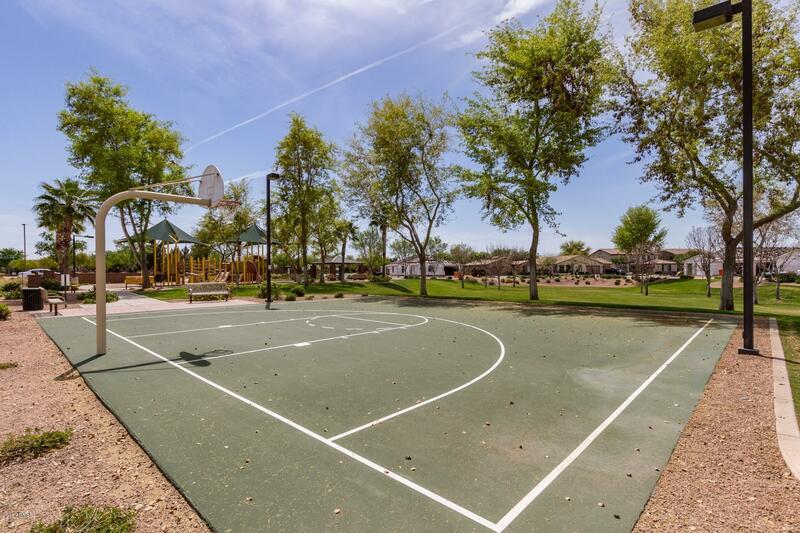 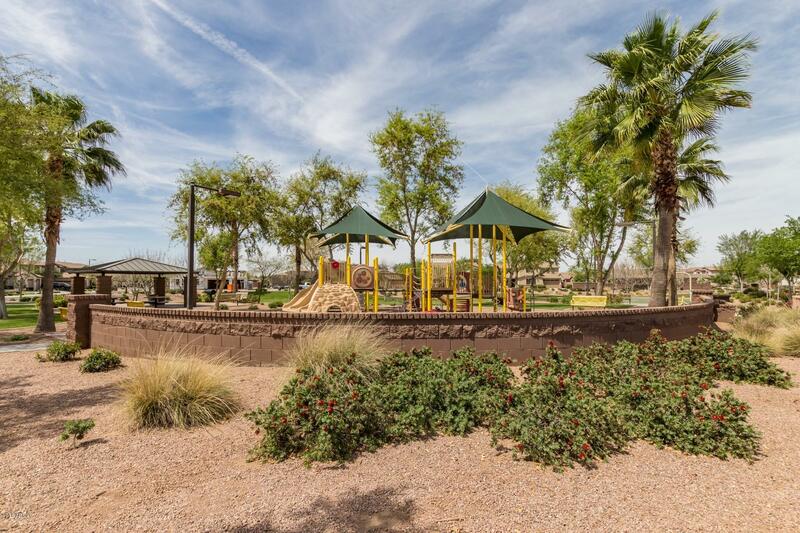 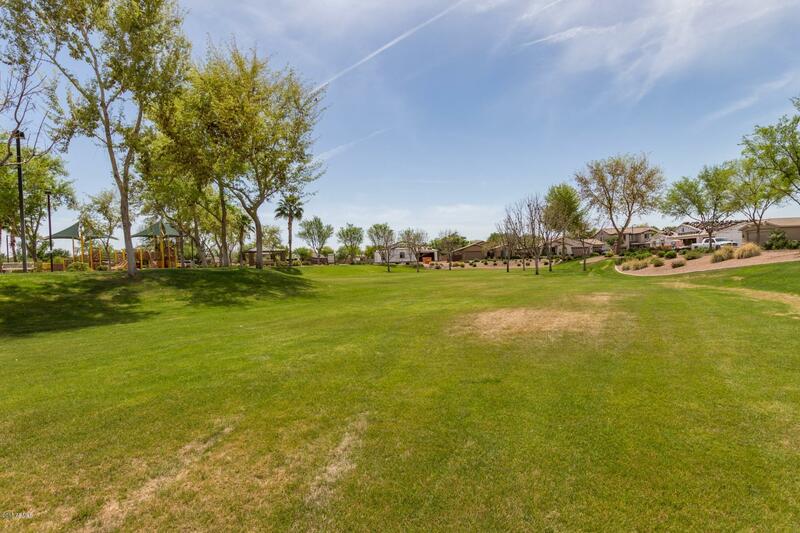 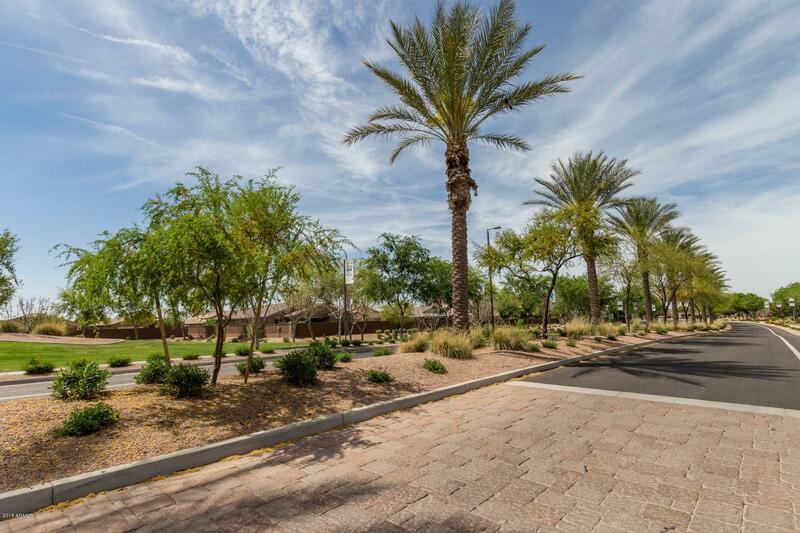 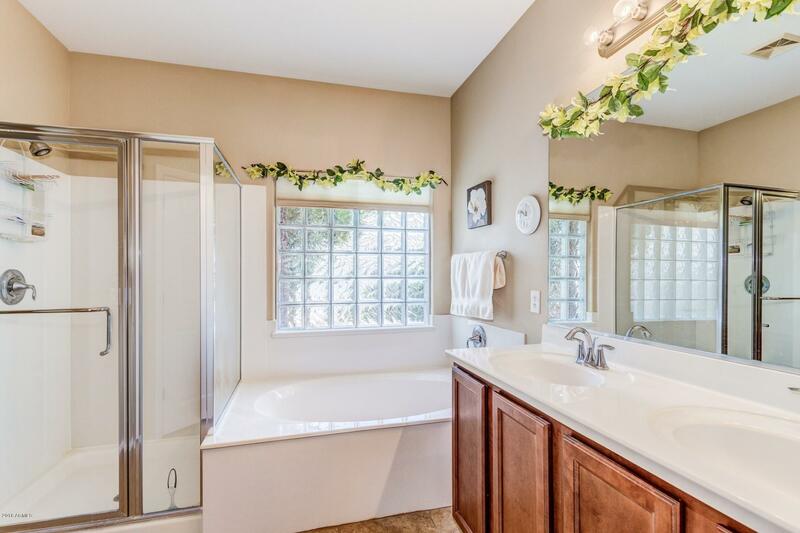 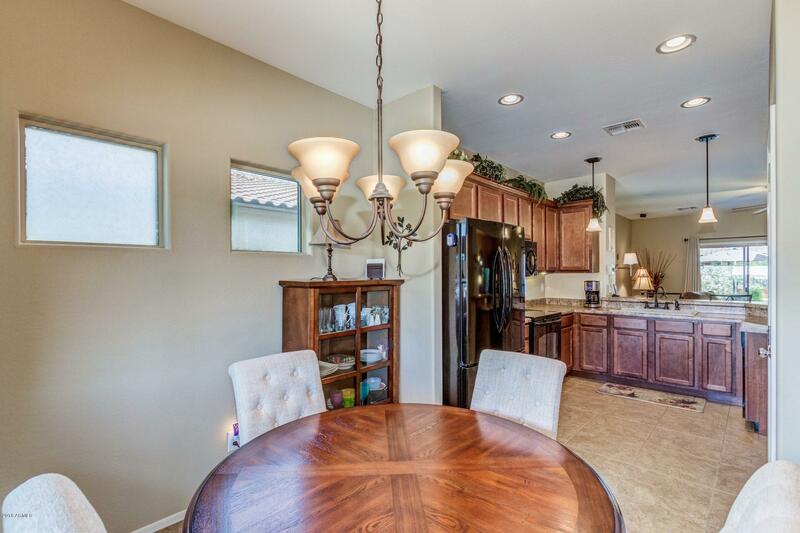 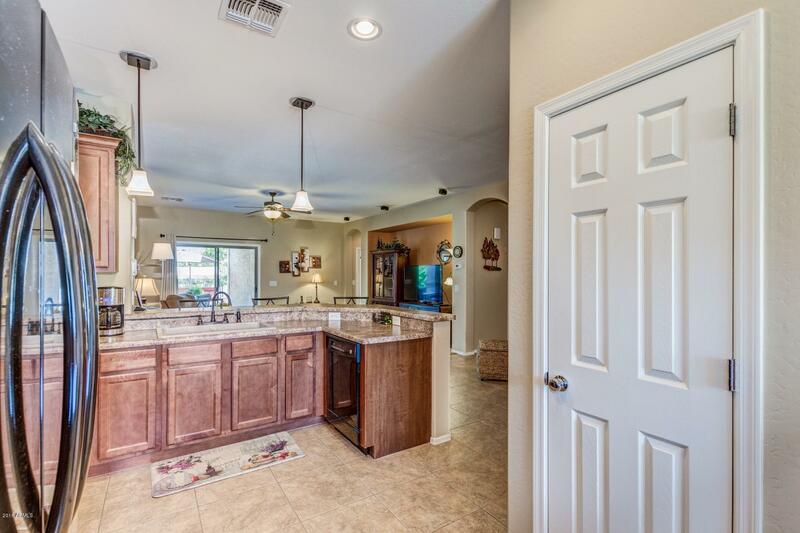 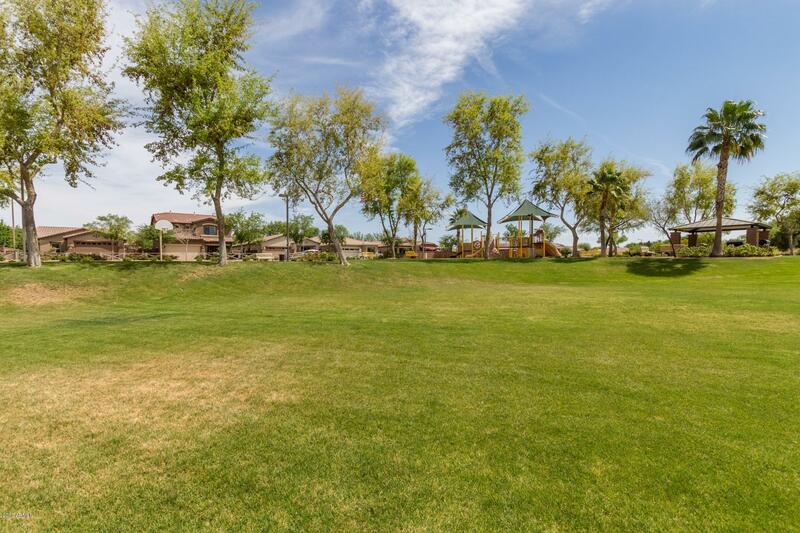 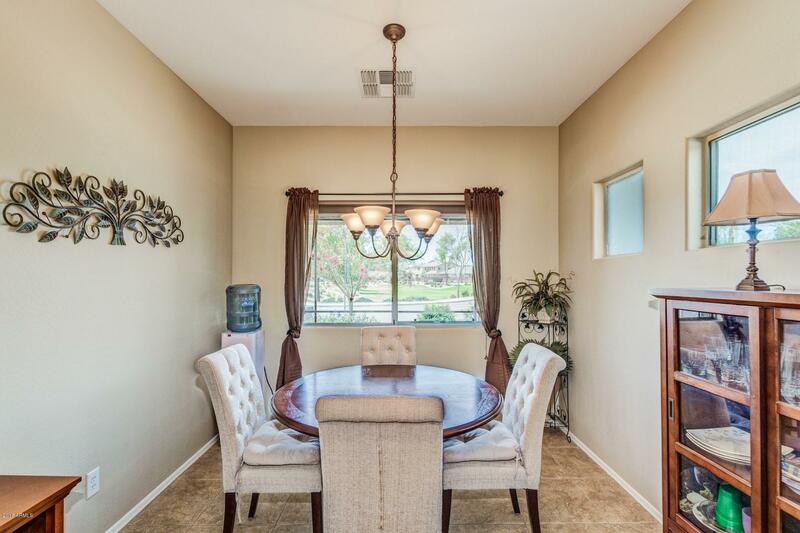 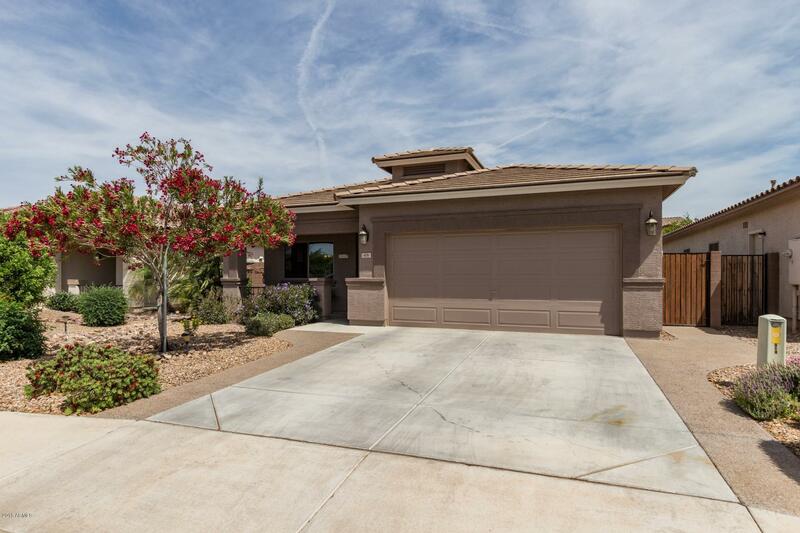 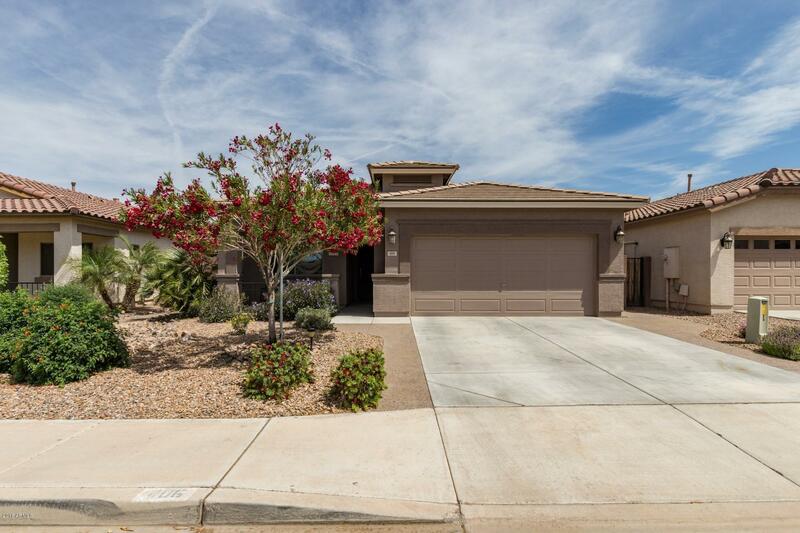 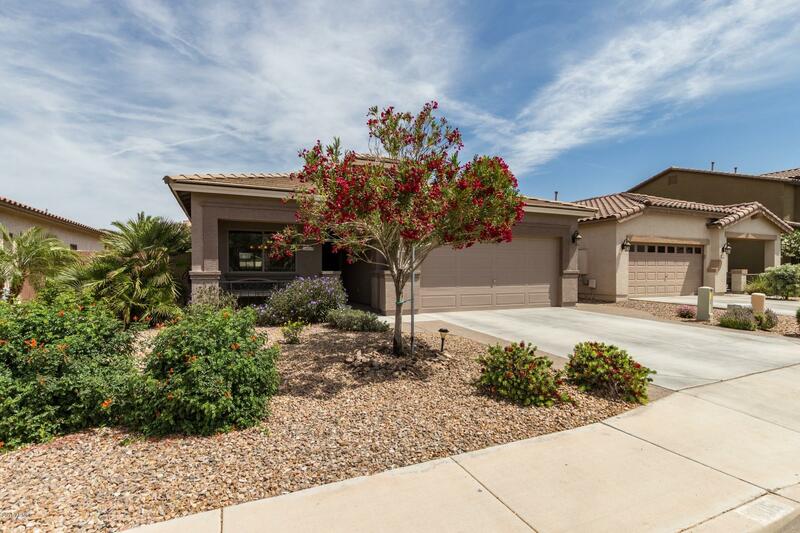 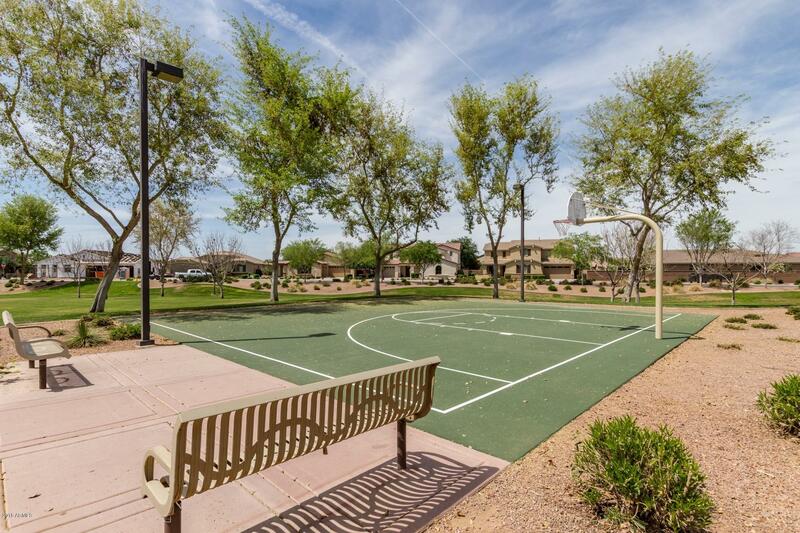 This home has it all Quiet cul de sac location across from huge park in the # 1 planned community of Ironwood Crossing! 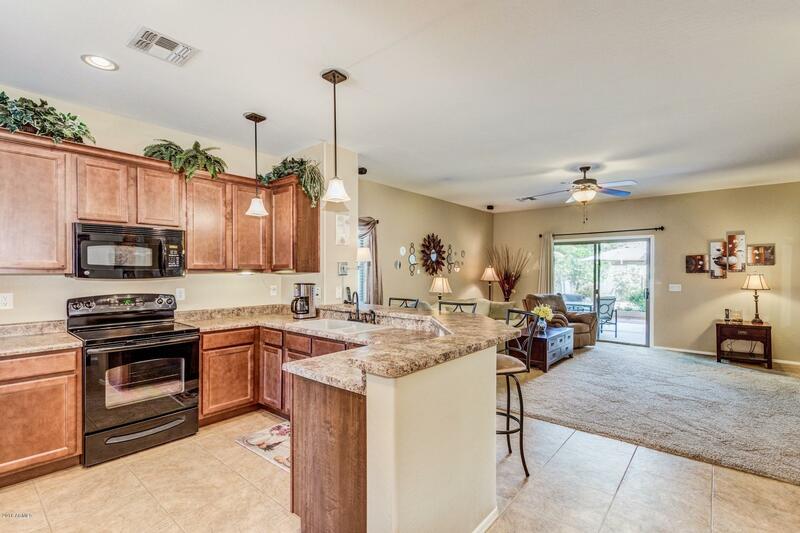 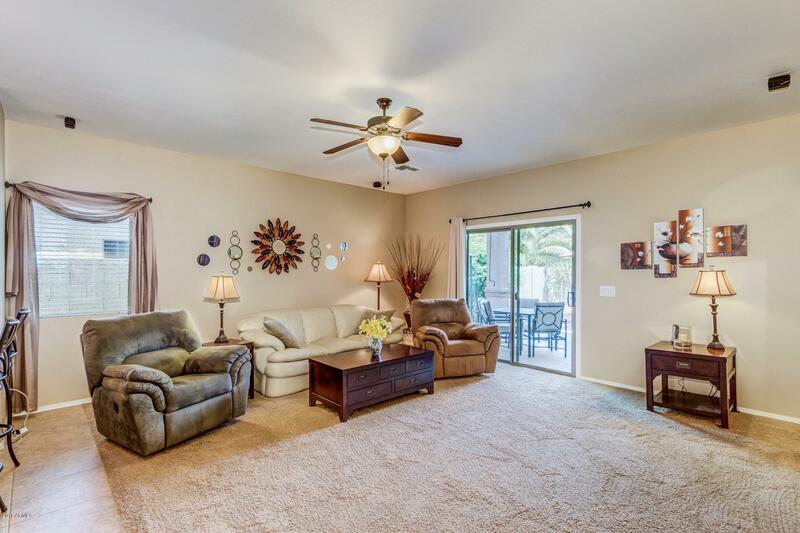 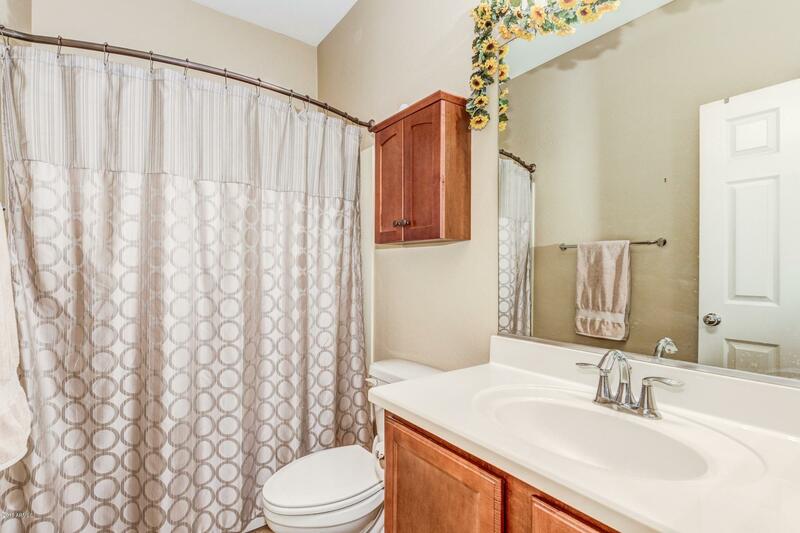 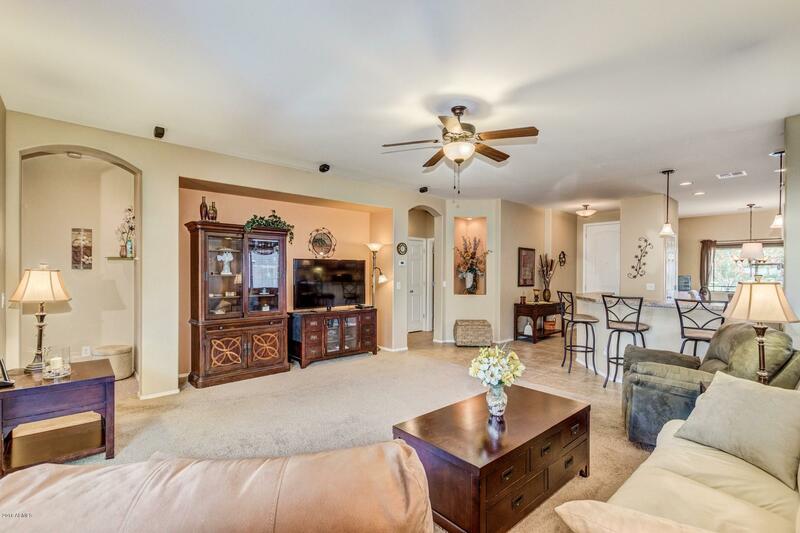 Well maintained open floor plan offers designer paint tones, tile flooring, and plush carpeting! 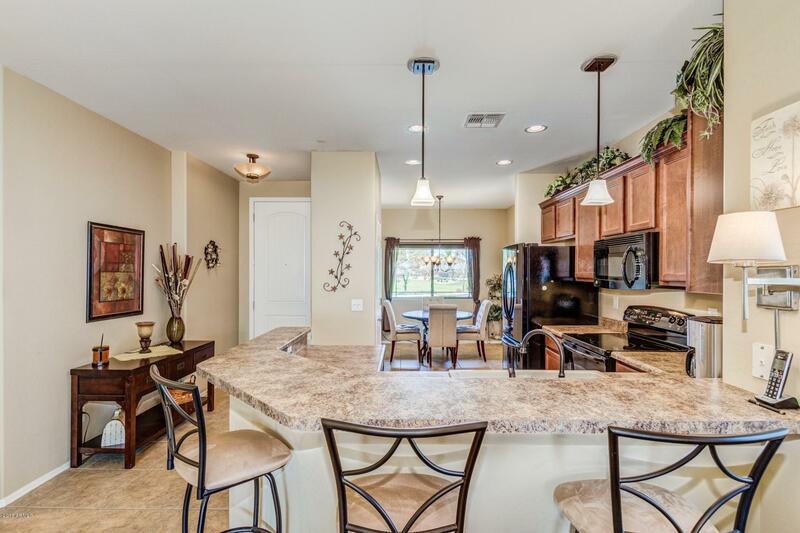 Create a culinary delight in the upgraded kitchen that features a plethora of custom cabinets, pantry, and ample counter space including a raised breakfast bar. 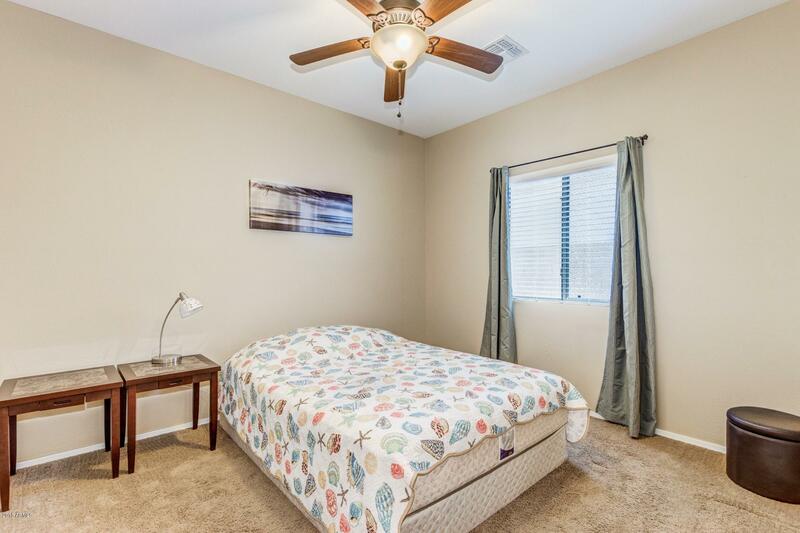 Three spacious bedrooms! 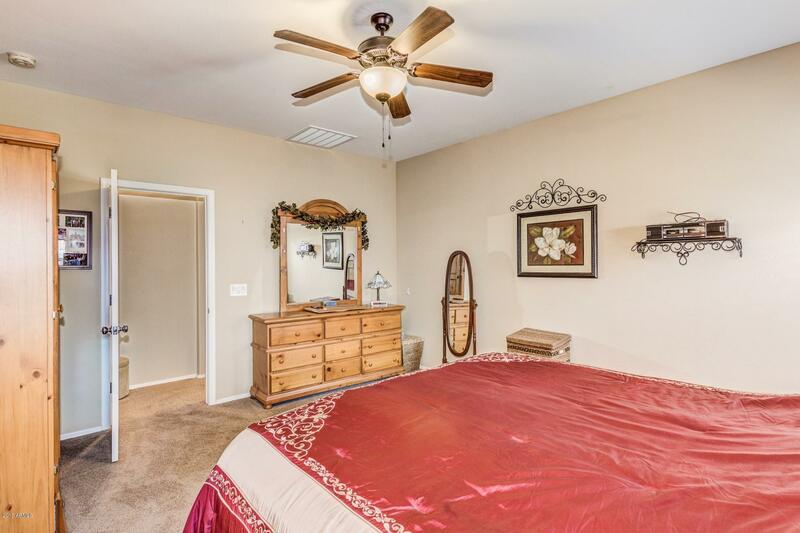 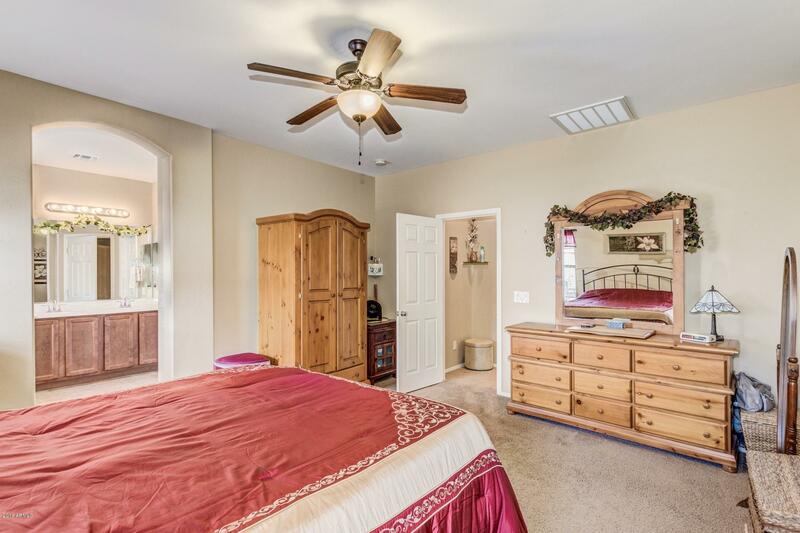 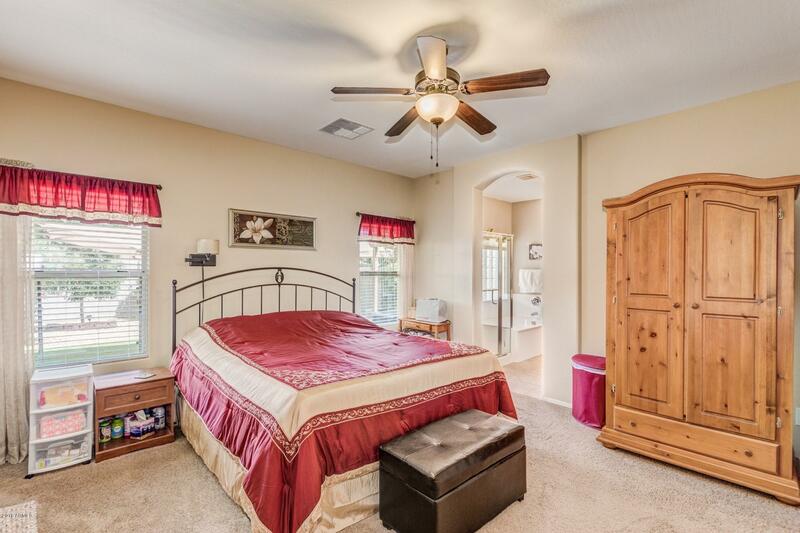 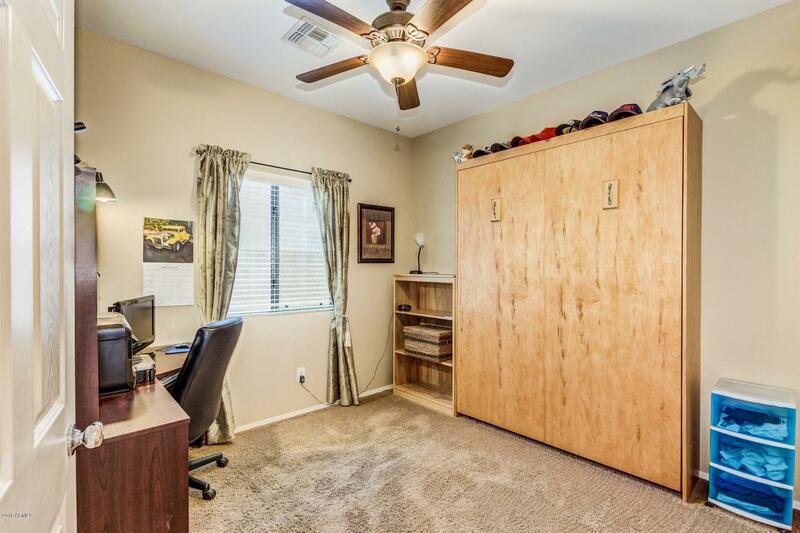 Master has a walk in closet and an adjoining spa like bath with garden tub and separate shower 3rd bedroom has a Murphy style bed. 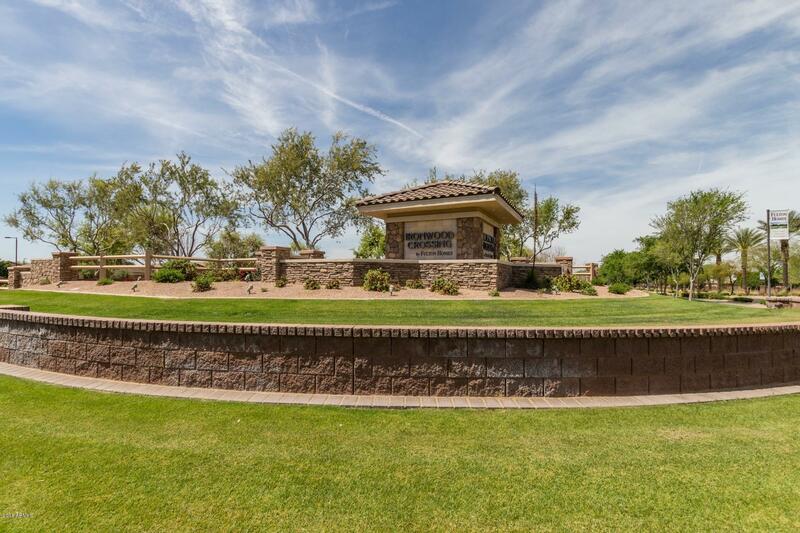 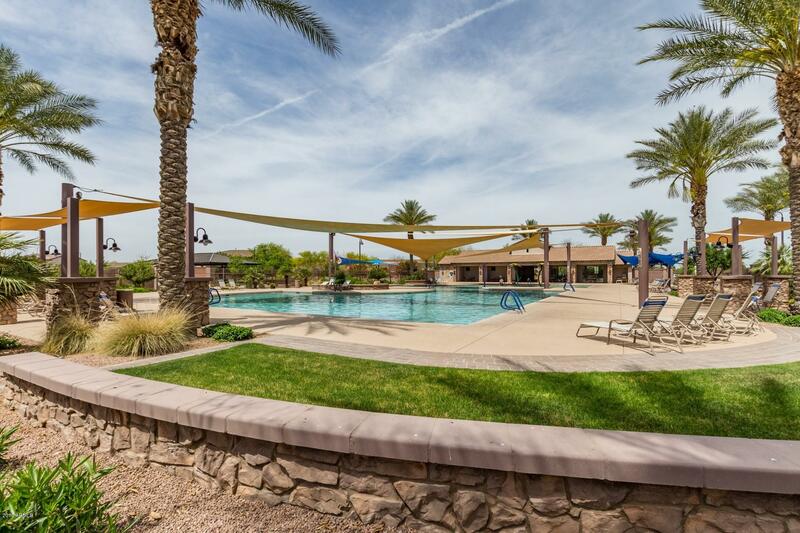 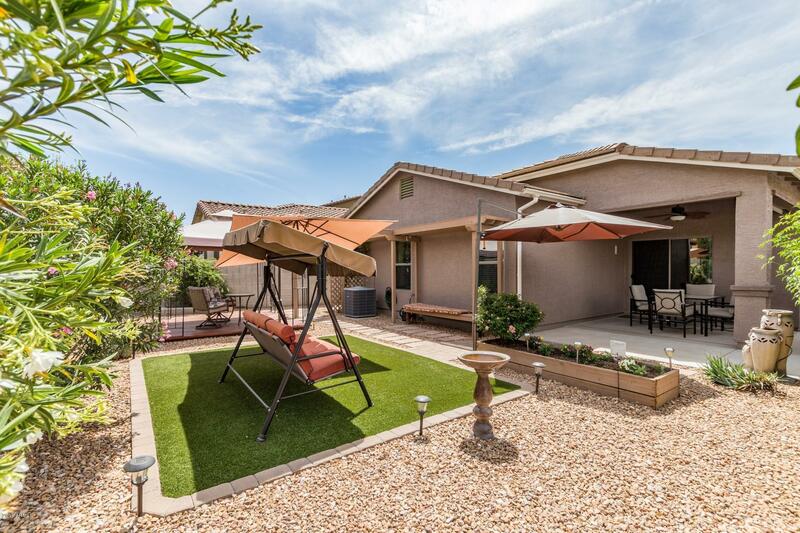 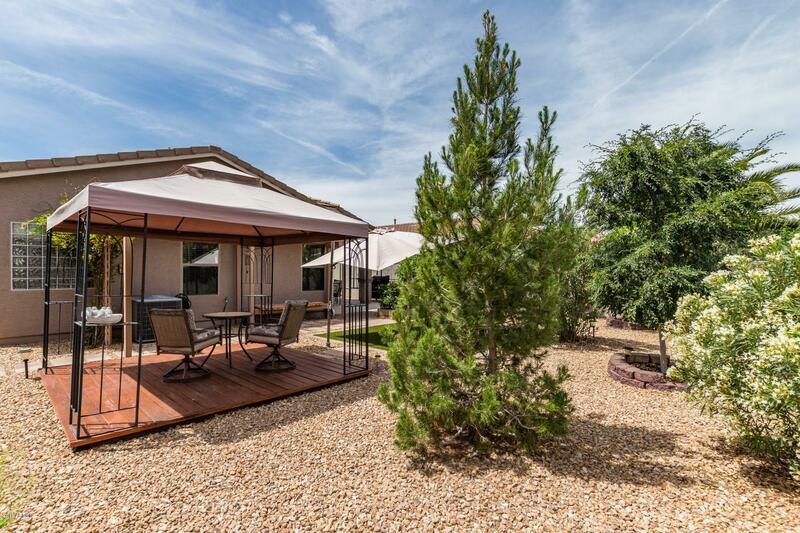 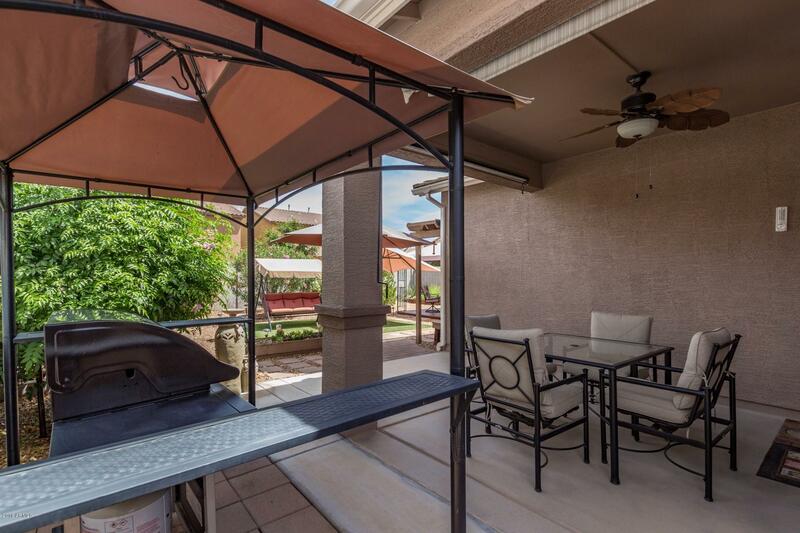 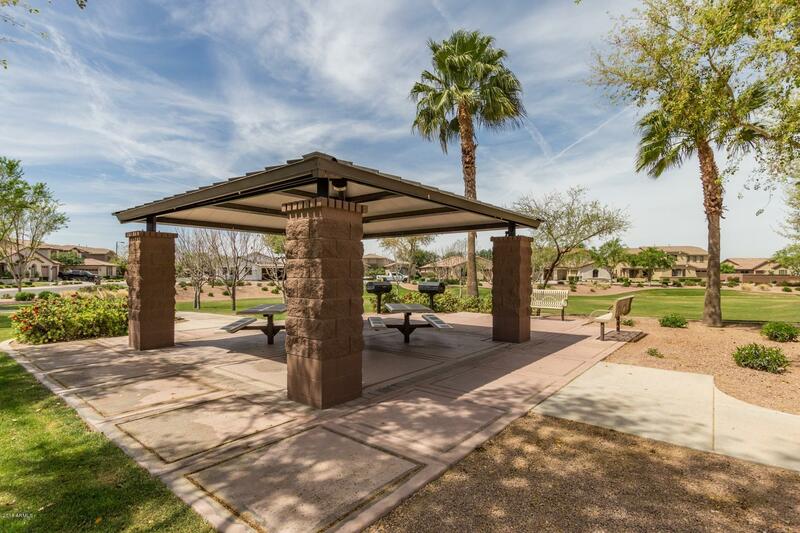 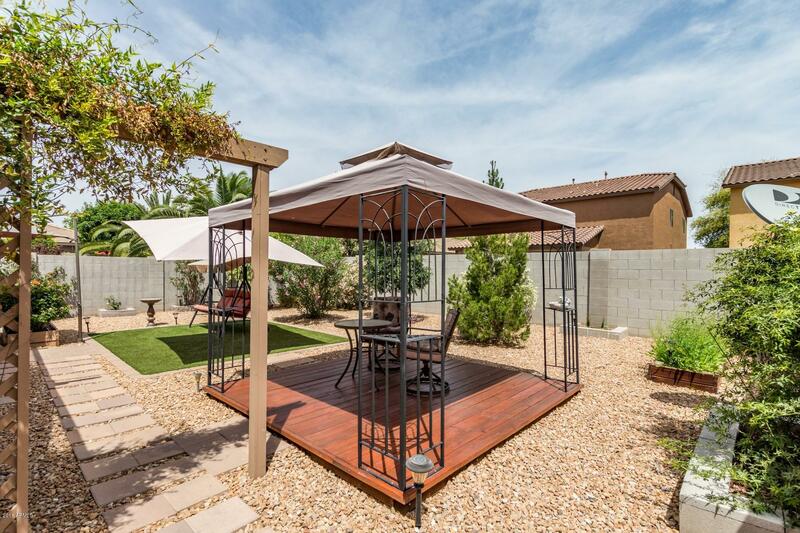 Enjoy the amazing Arizona weather in the serene backyard complete with a covered patio, synthetic grass, and low care decorative rock! 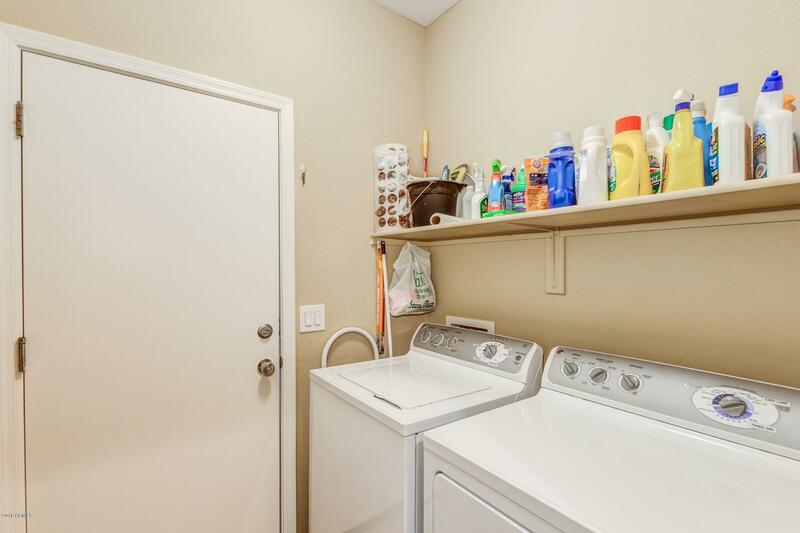 Also with full price offer the refrigerator, washer and dryer are included Make it your first and last stop!